Sometimes life is really hard. 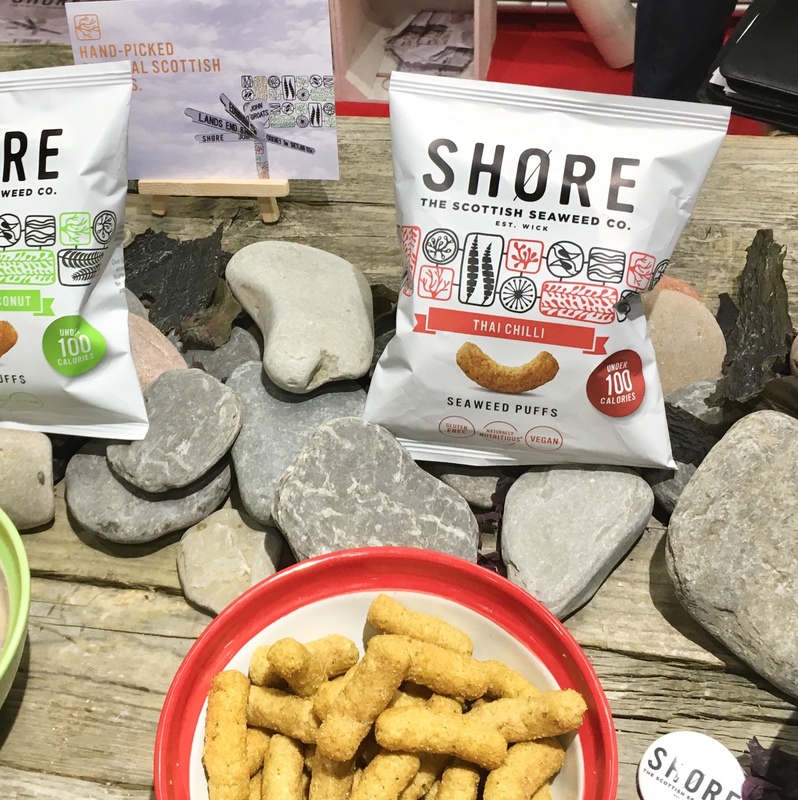 Just this week I had to nibble and slurp my way around practically every food product on show at the Natural Organic Products Europe Show. Well SOMEBODY had to do it!! Ha – only joking, I love these shows which allow you to taste all the novel and exciting foods on the market. There’s always lots to consider – packaging, ingredients, taste, health impact are all important to me. Sometimes you just want better versions of the foods you normally find in the local supermarket, sometimes you want the super-foods. If you haven’t tried baobab before you’ve missed out. Typically milled to a fine powder it brings a citrusy tang to any mix, now you can get your baobab-fix on the go. 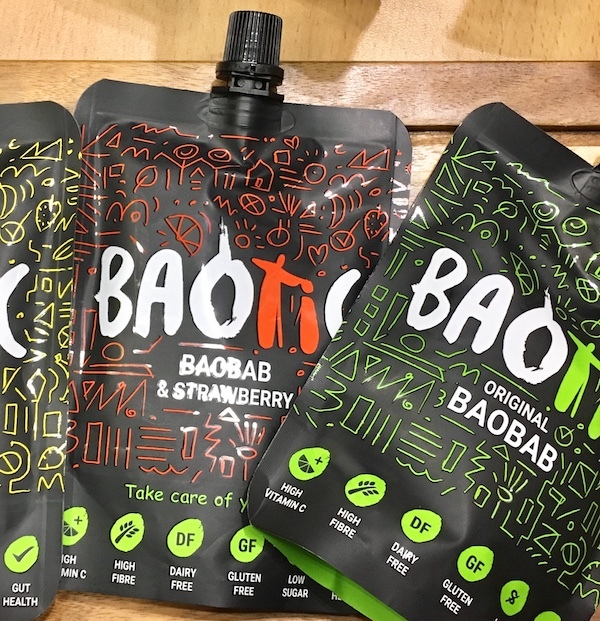 Baotic’s Baobab drinks come in these handy pouches, helping you get some tasty, gut-friendly fibre, and an extra hit of vitamin C, into your day. These light and crunchy puffs pack in 6g of seaweed per serving. You probably know why sea vegetables are a firm favourite on my shopping list, and a typical recommendation for my clients. It’s because they’re a source of plant protein, fibre, vitamins and minerals – particularly iodine. The thyroid gland uses iodine to form the structural backbone of the thyroid hormones, which then whizz round the body enabling the cells to metabolise and produce energy. That’s why regularly eating seaweed can help put some pep in your step. Or add some huff to your puff, in this instance. If you find most healthy bars and bites are way too sweet, then Nibble Protein Bites will probably fit the bill. 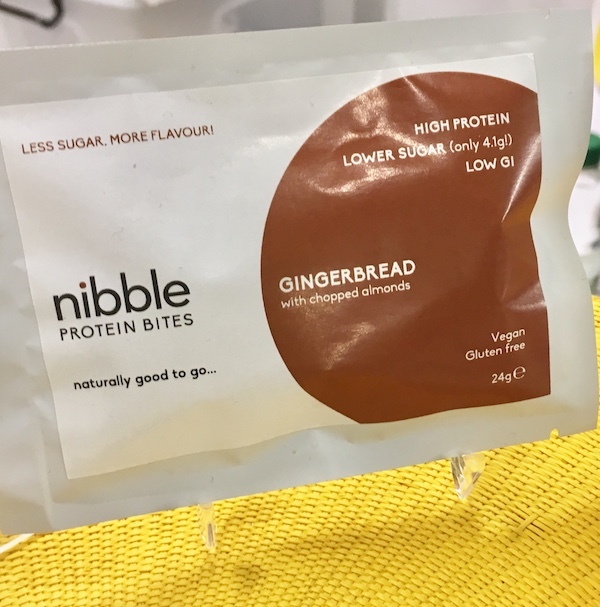 As the name suggests, they’re higher protein snackss to nibble on, and their squidgy Gingerbread Bites are a great addition to the range. They’ re pretty clever really – swapping high GL dates for lower GL plums, and using coconut nectar instead of other higher GL sugars. 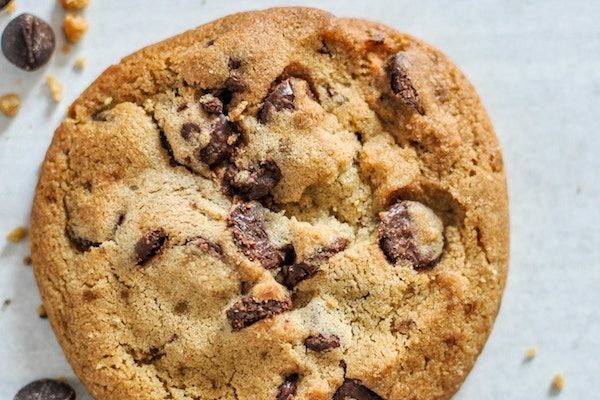 This all adds up to a lower impact on your blood sugar levels. 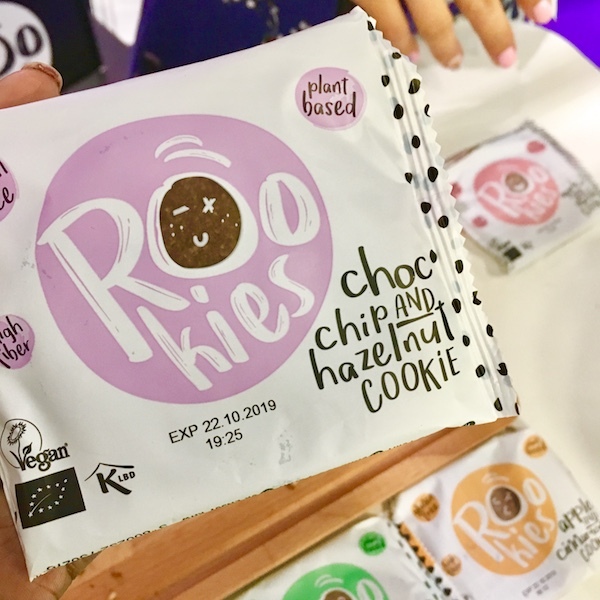 New from the makers of Roo Bars, these cookies are an absolute indulgence that I had no intention of resisting! I also like a good word-smash too. The packaging stopped me dead in my tracks; ‘Life-changing bread mix’ it boldly declared. Yeah, right – I thought. Then I tasted it. Never a truer word was printed. Heavily seeded and nutty, with an incredibly light texture, this reminds me of the bread I buy in my local Polish shop. Now I can make it at home!! 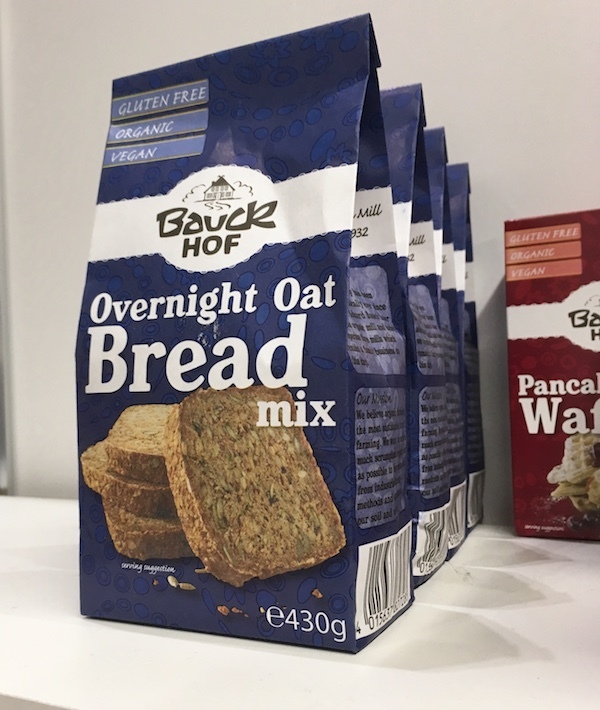 I nabbed a packet of the Oat Bread mix to try out later – I’ll keep you posted on how that turns out. Boost started out making the protein balls that you’d probably whip up at home – Maple and Cinnamon, Coconut Fudge. Now they’re bringing out these squeezy pouches of nut butter. 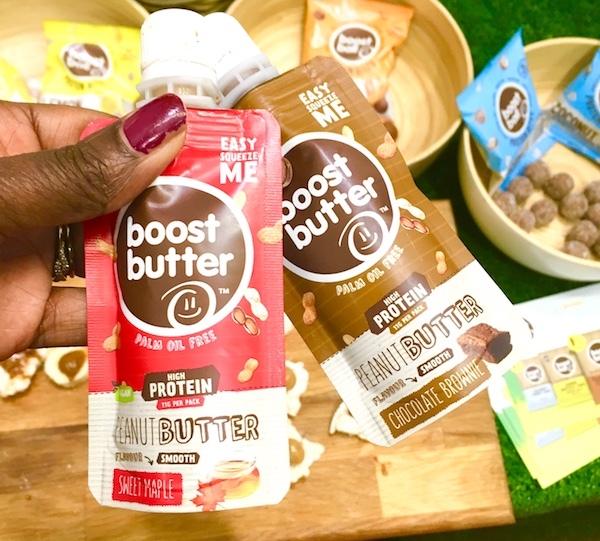 You could make more balls with them, squeeze them on toast, have them on the go – it’s your portable packet of palm-oil free nut butter. Yum. That’s it for Natural and Organic Foods. What’s up next? Which natural skincare, lifestyle and supplements were the best in show? … Find out HERE.